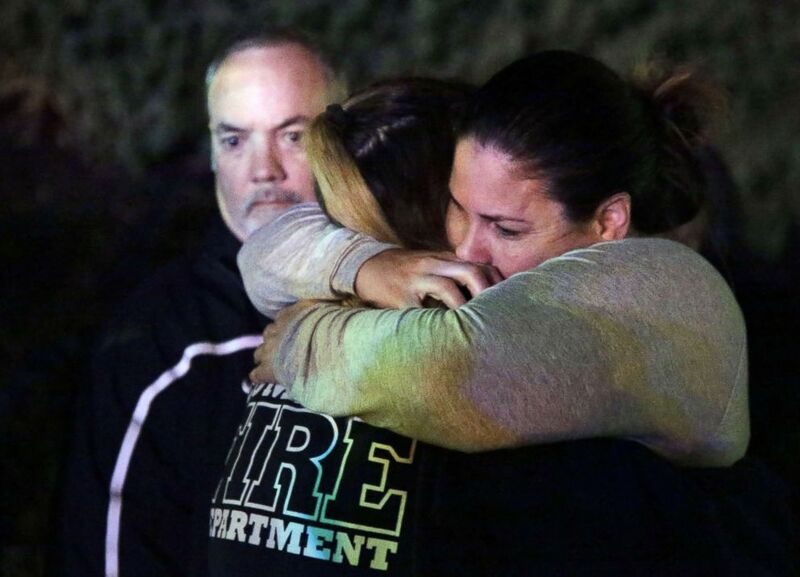 Twelve people were killed in the Wednesday night shooting at a California bar. 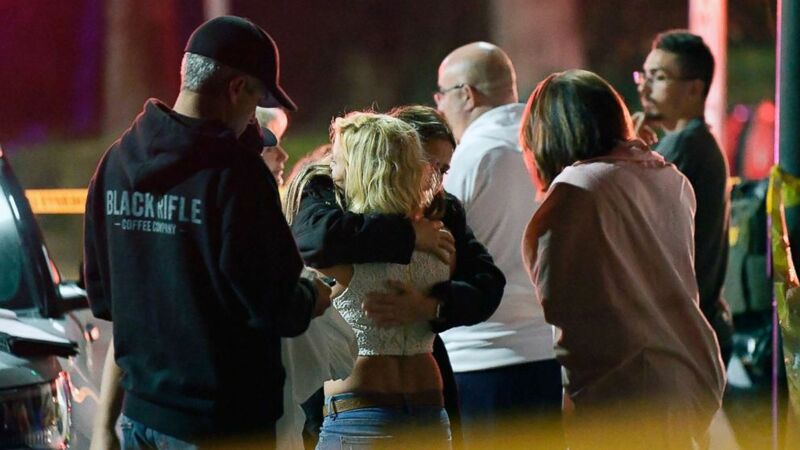 The veteran suspected of opening fire at a Thousand Oaks, California, bar, killing 12, died of a self-inflicted gunshot wound, an official from the Ventura County Sheriff's Office told ABC News. Ian David Long, 28, an ex-Marine, fatally shot 11 people at the Borderline Bar and Grill, as well as a police officer who responded just before midnight Wednesday. Long, a former U.S. Marine, showed signs of post-traumatic stress disorder, authorities said, but there's little information available yet on what prompted the attack late Wednesday night at the Borderline Bar and Grill. Long was found dead inside the bar. (Mike Nelson/EPA via Shutterstock) A woman who fled the Borderline Bar and Grill is hugged by relatives in Thousand Oaks, Calif. Nov. 8, 2018. (RMG News via AP) A victim is treated near the scene of a shooting, Nov. 7, 2018, in Thousand Oaks, Calif.
(Mark J. Terrill/AP) People comfort each other as they stand near the scene, Nov. 8, 2018, in Thousand Oaks, Calif., where a gunman opened fire Wednesday inside a country dance bar crowded with hundreds of people on "college night." 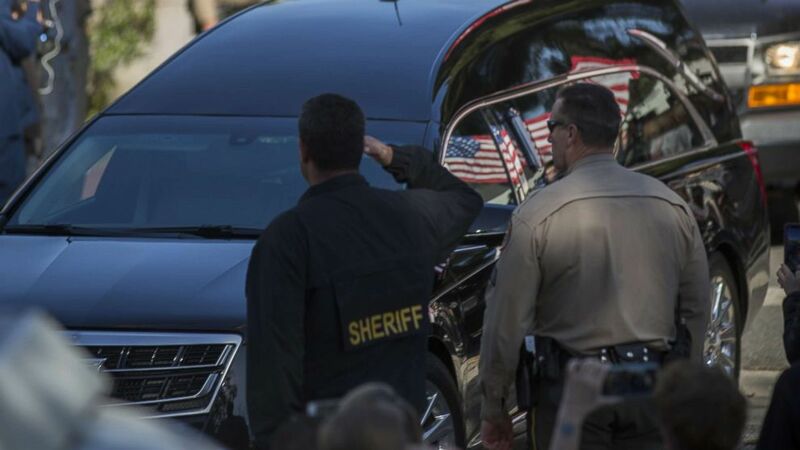 (David McNew/Getty Images) The procession carrying the body of Ventura County Sheriffs Sgt. Ron Helus, who was killed in a mass shooting at the Borderline Bar and Grill, leaves Los Robles Hospital, Nov. 8, 2018, in Thousand Oaks, Calif.